Please join us for an all-levels yoga class from 10:30-11:30am on Saturday, May 18. 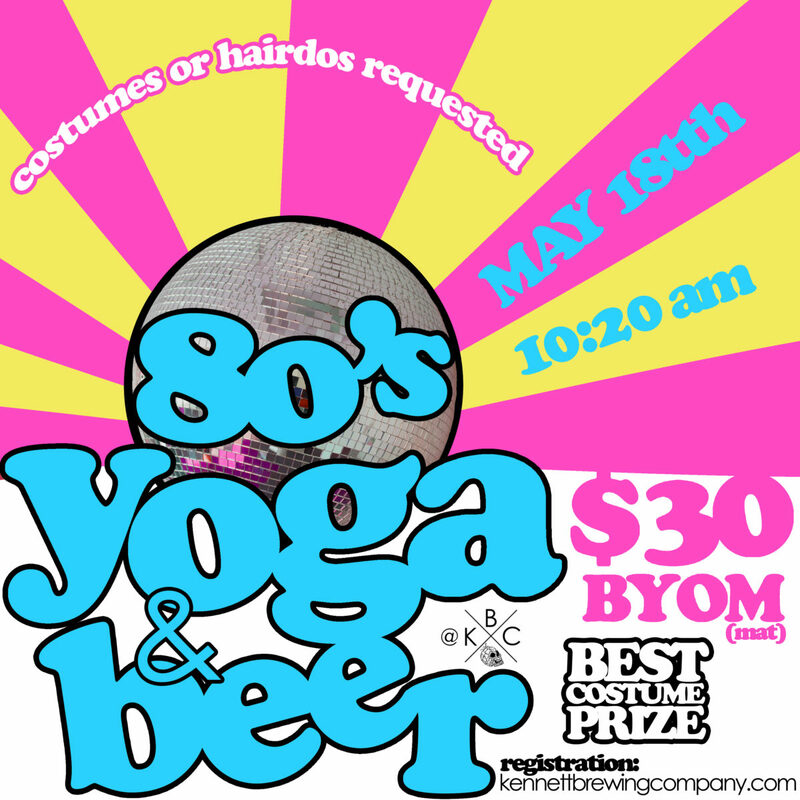 Registration is $30 per person and includes a one hour yoga class, a beer, and refreshing, delicious food. Discounted DD tickets are $20 (excludes beer flight). BYOM (bring your own mat)! Please arrive by 10:20am to set up, as class will begin promptly at 10:30. 80’s costumes and hairdo requested! Ease into your Saturday morning with some satisfying stretching and an excuse to drink before noon! Whether it’s your first time getting flexible or you’re a veteran yogi, this all levels class has something for everyone. Taught by someone with no inner peace, this class focuses on proper total body stretching, backed by a modern playlist. The yoga is serious but the instructor isn’t! Meg Drobniak is one of the last people you’d expect to be a yoga instructor. As a marathoner and triathlete, she once viewed it as “that boring stretching class” but quickly realized it’s benefits after being coerced into taking power yoga. She was hooked and decided to become a yoga instructor for people who don’t think yoga is for them.